Desde ayer por la noche llevo esta canción metida en la cabeza. Estaba viendo una serie en la tele, y su banda sonora era Russian red. Así que desde ayer, llevo cantando todo el día este tema. Y... si no puedes con el "enemigo"... únete a él!! 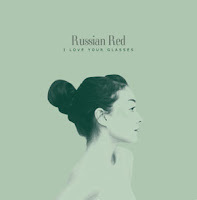 En vez de seguir escuchándome a mí cantándola, mucho mejor es poner el Cd de Russian Red y escuchar la voz de Lourdes! Mi canción de hoy es para el corte número 2. No past land. If my hands weren’t there, like I saw in the stream of the drawings been made on a full colour screen. If they weren’t to be found, then what else could I be? If your hands weren’t there, like I saw in my dreams & the poets we made. Had all gone, disappeared, then what else, then what else could I be? If your hands & my hands strolled together around. If they were to make friends we’d be possibly up to escape from this world, from this no past land. If I looked in the windows while walking pass through. If I stared at the willows with my seven black truths. If my eyes were to see what belongs to your mind… If you’d like, keep perceiving what lies on my back. And your eyes will shine through the glass of my wine. And the windows, the willows, the pillows, and your mouth. If your hands & my hands strolled together around. If they were to make friends we’d be possibly upto escape from this world, from this no past land. Me alegro! Igual el miércoles que viene cae otra, porque se pasan toda la serie poniendo 2 temazos de ella y se me quedan clavados. 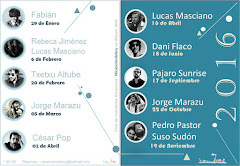 El álbum es muy bueno! Suena genial. totaLmente de acuerdo ;) .. me quedé con ganas de verLa de nuevo.. a ver ..a ver. ideem..